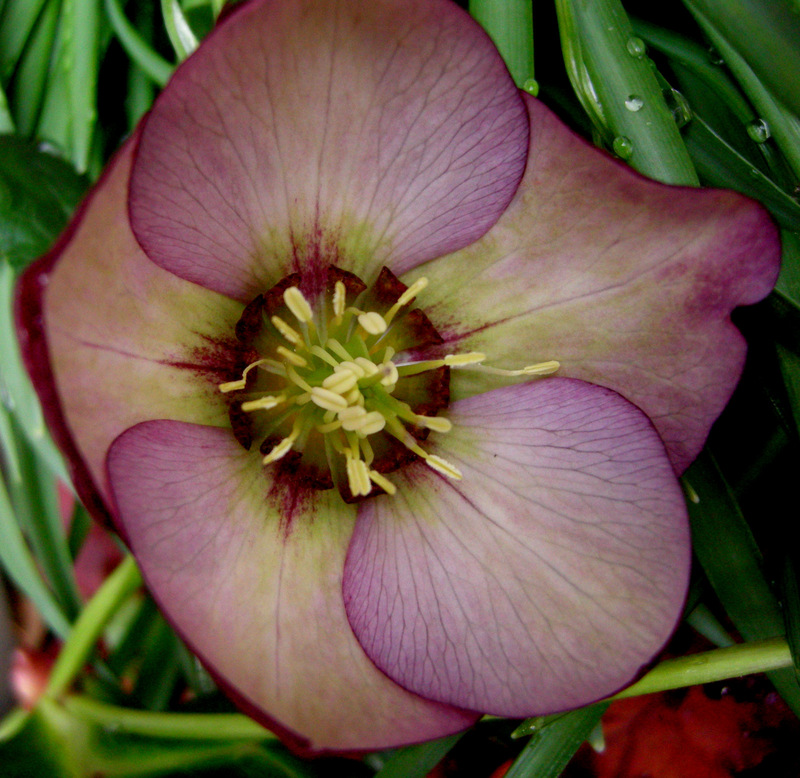 This entry was posted on February 12, 2012 at 8:49 am and is filed under evergreen, Garden Blogger's Bloom Day, hellebores, Shade Perennials, winter, winter interest with tags Carolyn's Shade Gardens, Helleborous x 'Raspberry Mousse', Helleborus "Double Purple", Helleborus 'Pink Tea Cup', Helleborus x ''Goldfinch', Helleborus x 'Black', Helleborus x 'Double Rose', Helleborus x 'Elegance White', Helleborus x 'Painted Bunting', Helleborus x 'Phoebe', Helleborus x 'Phoenix', Helleborus x 'Slate', Helleborus x 'Snow White', Helleborus x 'Starling', Helleborus x 'Velvet Lips', heronswood nursery. You can follow any responses to this entry through the RSS 2.0 feed. You can leave a response, or trackback from your own site. Gotta love those Velvet Lips! We are in the same growing Zone! My zone just changed to 7A as well. Gorgeous hellebores. They are one of my all time favorite perennials for their year round interest. You have some simply spectacular cultivars. I could see them all easily growing in my garden. Gorgeous photos! Hope you get caught up at the nursery. This mild weather sure is something. It’s cold now though so hopefully things will slow down. Wow, these are really beautiful Carolyn! Very beautiful selections you are offering Carolyn. I must look for space to add some you have available. All mine are doubles, but none are near flowering yet, even with the mild winter weather. We are finally getting typical winter weather this week with much snow. What I have found about the weather is that the garden bare of snow is also bare of much else. I cannot wait for a little color and bloom. My GBBD post is going up tonight and you must stop in. It is all about what my garden does to attract wildlife. A city property with winter interest! Carolyn, this post has done for me what your series of hosta posts did last summer – opened up a whole new world to me, and knocked my socks off! I wish I could “stop by”, Carolyn! But thanks for showing those gorgeous flowers anyway. 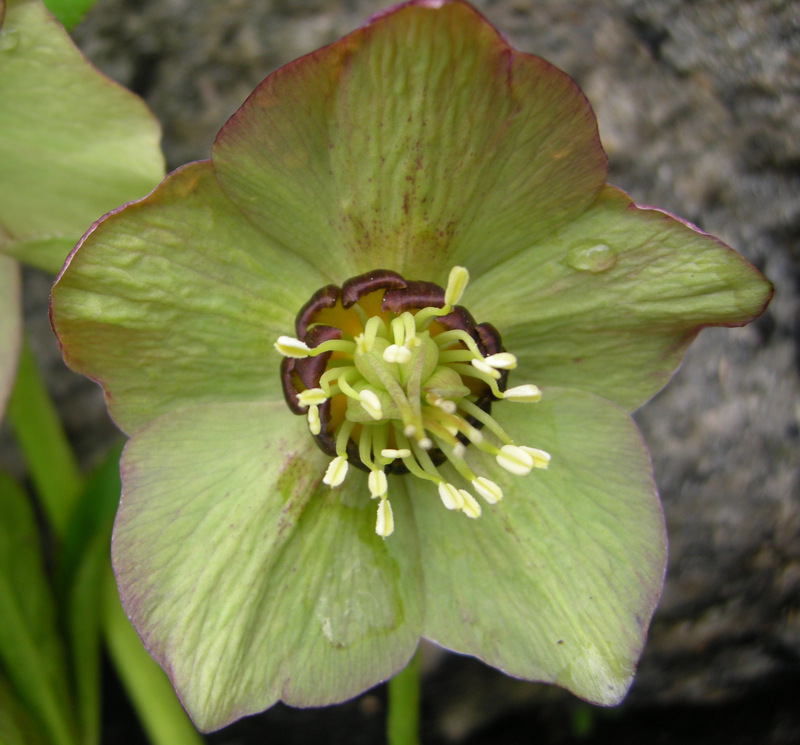 There’s a Hellebore nursery about 2 hours away from us and I’m planning a visit. You can’t have too many Hellebores. I love some of these new offerings Carolyn. Phoebe and the Double rose are beautiful pinks. 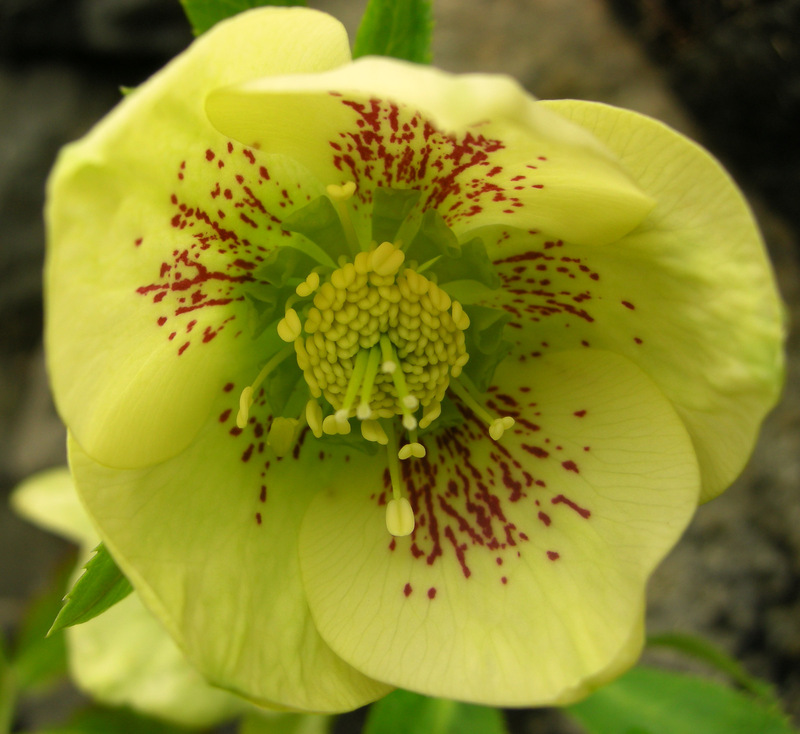 Thanks for letting us know about the new hellebore’s. Glad I am not in the position to have to chose 1 or perhaps 6 to buy, it would be a dilemma. Raspberry Mousse is edging towards the top of the list but gee whiz it might not stay there long. Gorgeous hellebores, all of them. Seeing all your hellebores definitely gets me excited about choosing some to add to my serenity garden this spring. They are just gorgeous. P.S. You are right. My zone has moved to 8a. I mentioned it, and you, in my newest post. They are beautiful…wish I could walk your property with my camera! The colors are so rich. What a fabulous selection, just as well the ocean is between us, they are all so tempting!! All my Hellebores are flowering now looking very pretty with masses of snowdrops, who could say that a winter garden is dull and boring!! Oh how beautiful – the Black one is amazing. These are very special flowers. Christine loves these!! 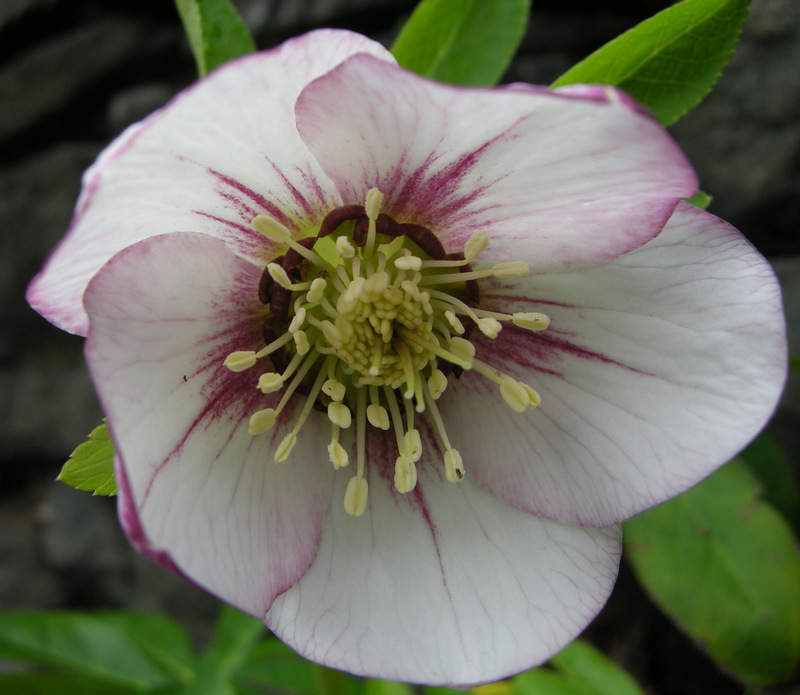 Carolyn, you inspire me with these Hellebores, cant wait to see the new species. 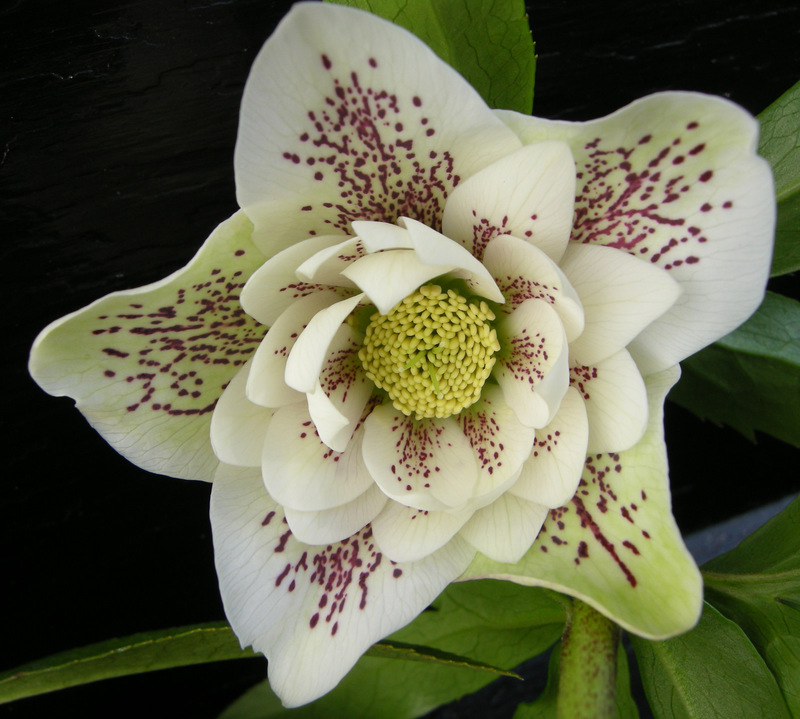 So many beautiful varieties; I have fallen in love with the double hellebores. Thanks for sharing all of these, Carolyn; I wish I could visit your nursery in person, too. Hellebores are getting so showy! Beautiful. Plus, the deer won’t eat them — at least at my parent’s northern Virginia garden. It’s a good job I’m on the other side of the pond. I’d be like a child in a candy store if I came to your nursery. Lovely hellebores. Ours are still hanging their heads in shame after last week’s frosts. Really beautiful especially the slate greys and raspberry mousse. I didn’t realise that the ruffles were nectaries, I usually can’t see nectaries on flowers. Would be good to see a bee drinking out of them – haven’t seen pollinators since last year though. Just beautiful! So many different colors. I don’t think I could pick out a favorite. They are all lovely. Oh my, so many beauties to choose from. I think I like double purple and raspberry mousse the most, although they’re all gorgeous. I wish we had some growing here. Glad to see you on Facebook by the way! Gorgeous flowers. I am not familiar with them. What zones do they like? How tall do they get? Wow – they are a lovely selection: my mouth is watering over those slate ones. Don’t think they’d quite survive the Delhi heat though. 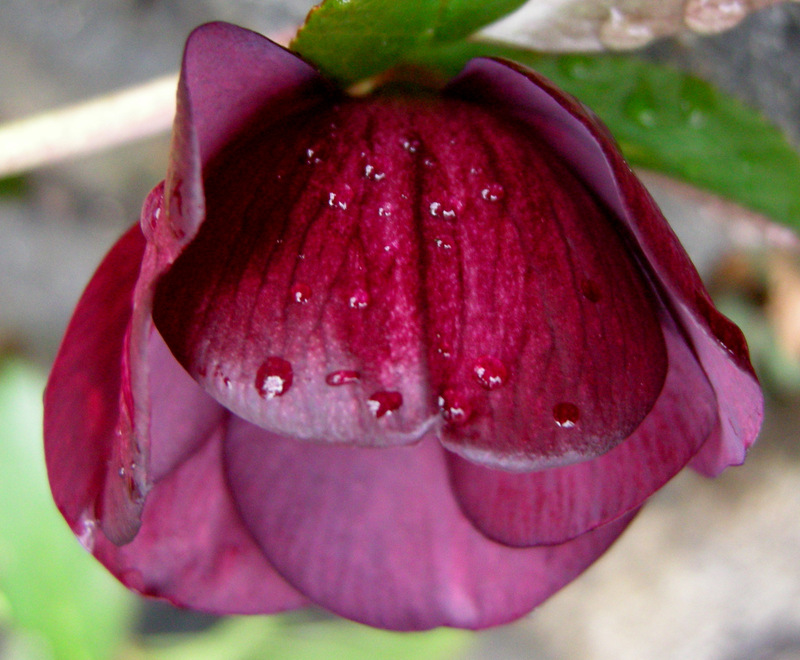 And can it really be almost a year since I visited Carolyn’s Shade Gardens and saw all your hellebores in flower? It is such a lovely memory. 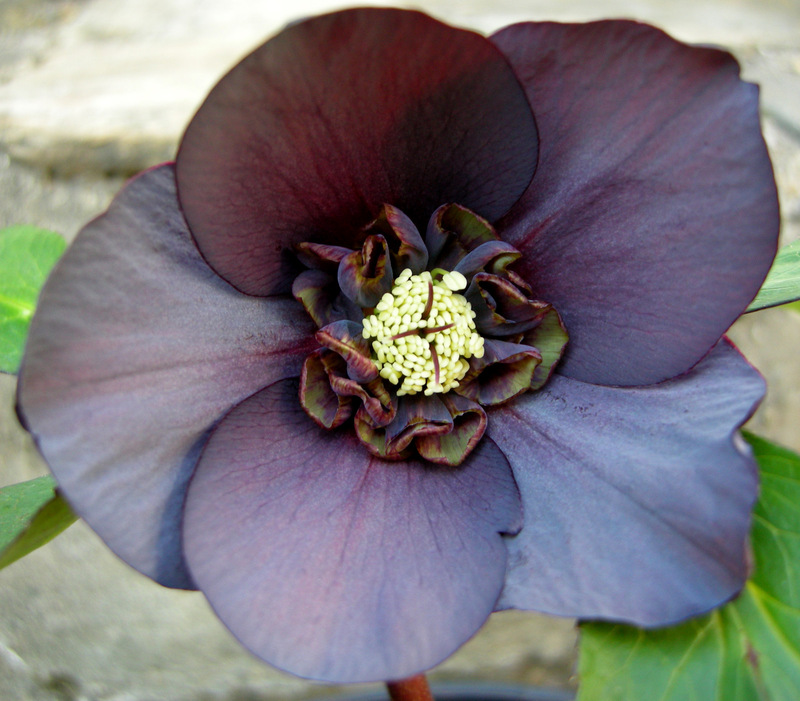 How do I place my order for hellebores? I found the catalog , I think, but no info on what to do next. They all look so pretty, Carolyn! Tough, tough choices, but I think I would go with the Double Rose or the Double Purple. I hope that the next weeks go well for you and that you are actually able to enjoy the season! Even though I have a lot of hellebores for such a small garden, looking at your post I realize I need more diversity from this plant. Wow! 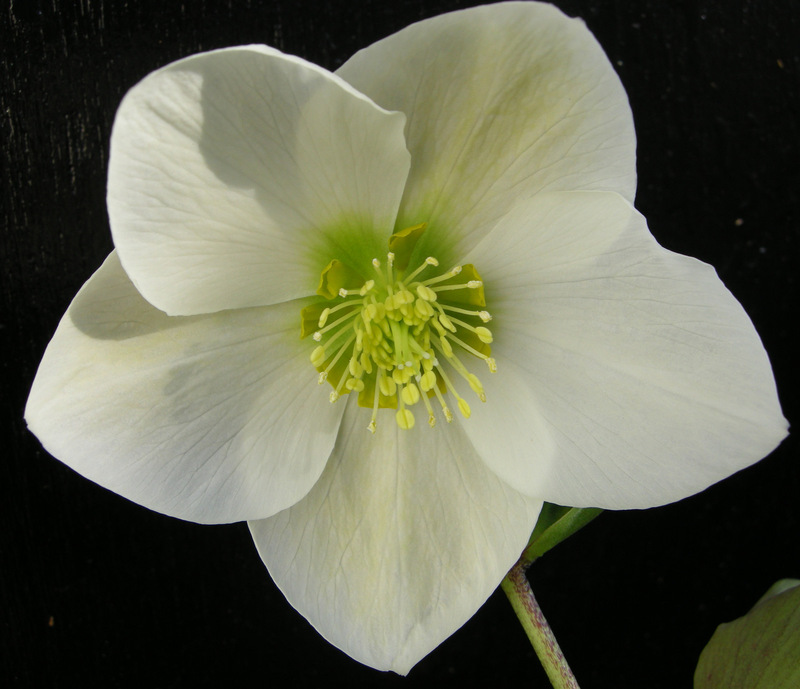 Are you having a hellebore event this year? 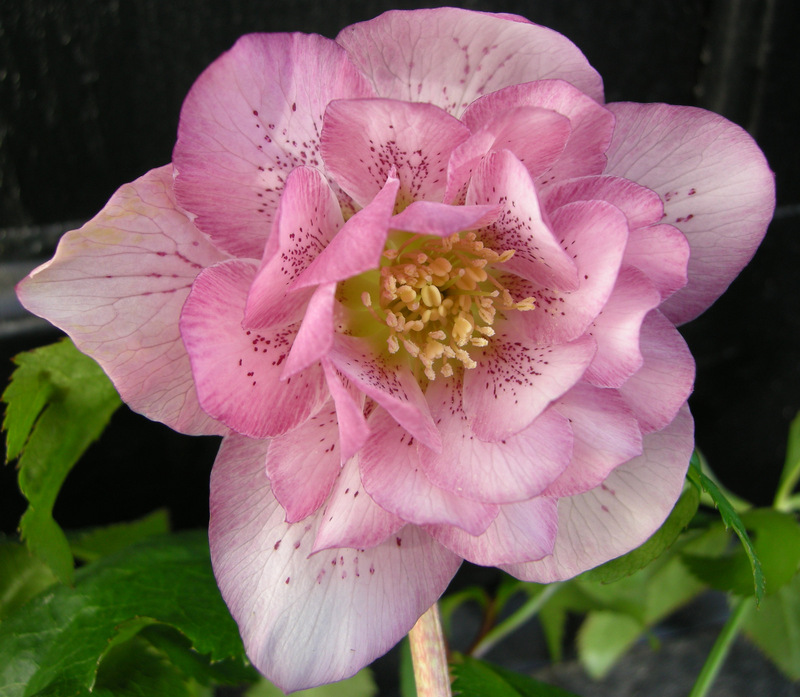 I had no idea there were so many types of Hellebores. I wish they had a nicer sounding name like Heavenbores. So gorgeous!! 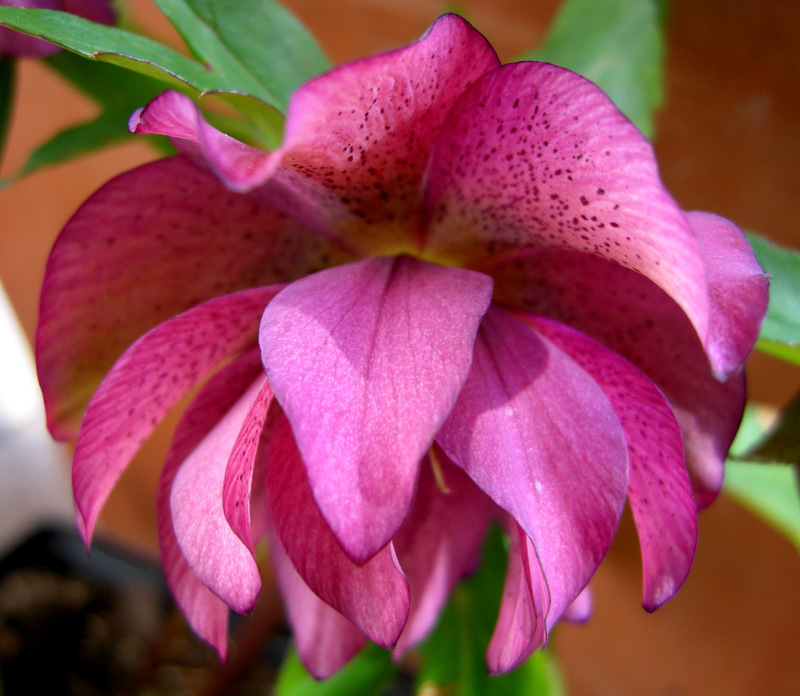 I love the first and third…Pink flowers are my favorite. I have a few hellebore, but after seeing all the possibilities in your post I am inspired to buy some more varieties. The colors and textures are endless and would add to my winter garden. My favorite is Raspberry Mousse…lovely! 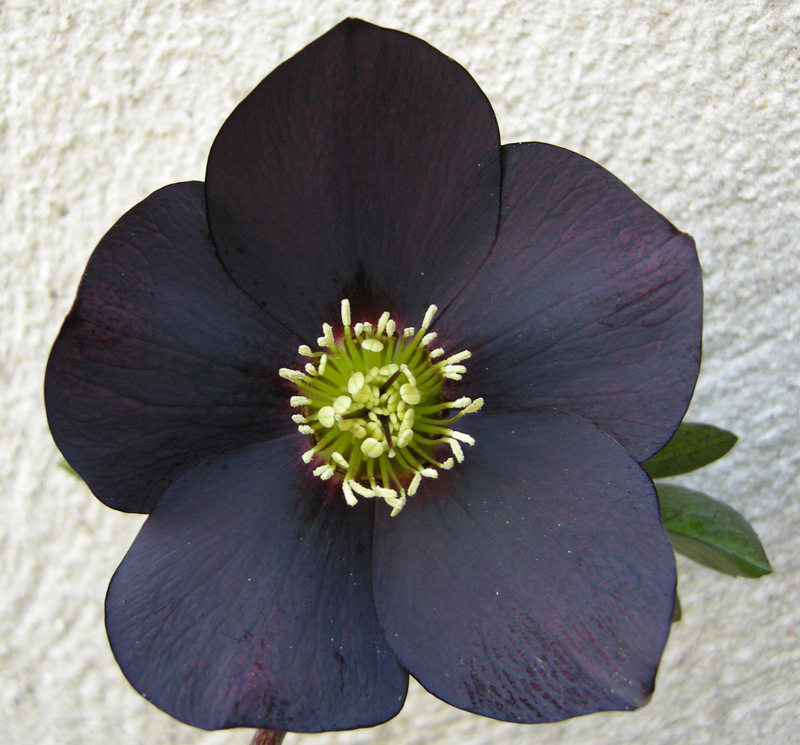 I used to really look forward to the Hellebore Days at Heronswood nursery. So sad when it closed but you have brought me the joy online again! Thank you. 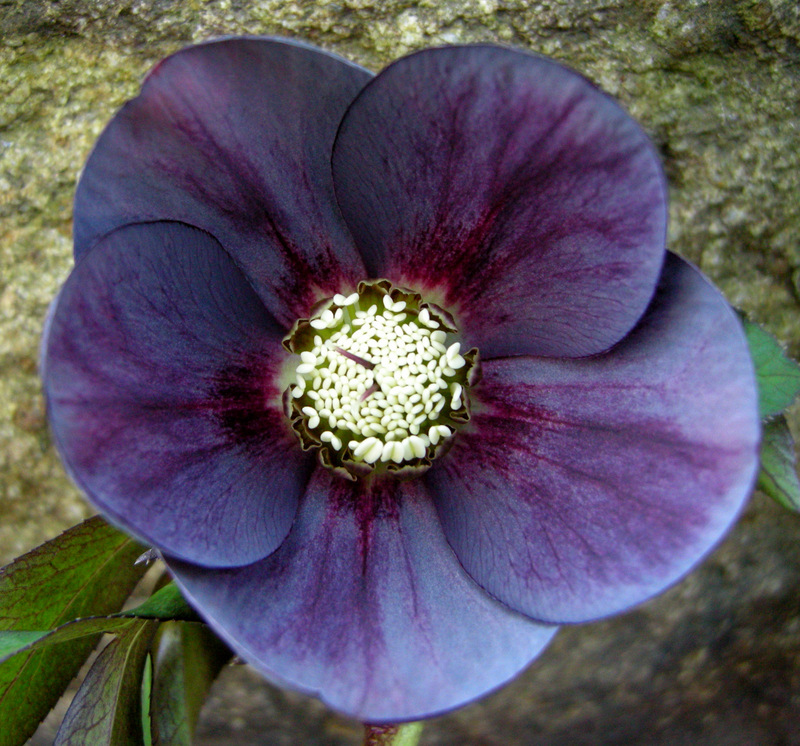 Honestly, I never really cared for Hellebores much…until I started seeing those slatey purple ones…swoon! When will you be in Asheville and where? I live in Greenville, SC and Asheville is only a short trip. Would love to see some of your beautiful helleboros.